Amid the growing crisis on the southern border President Trump on Friday threatened to shut down the border to alleviate the stress on US immigration resources. The crisis has hit a breaking point. Over 100,000 illegals were reportedly apprehended on the border in March. 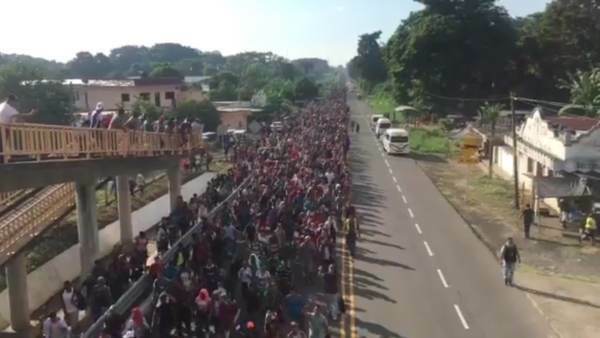 2019 is on track to see over one million illegal aliens captured crossing into the United States. President Trump will head to the US southern border on Thursday. Of course, the liberal establishment and media is VERY UPSET with the news. And now liberal outlets are warning that Americans may run out of avocados if only a few weeks if the border is shut down with Mexico. The country is being invaded by tens of thousands of illegal foreigners each month the media is worried about AVOCADOS! I’d prefer LEGAL IMMIGRATION & a SAFE BORDER over a damn avocado! Or ANY food for that matter! Period!